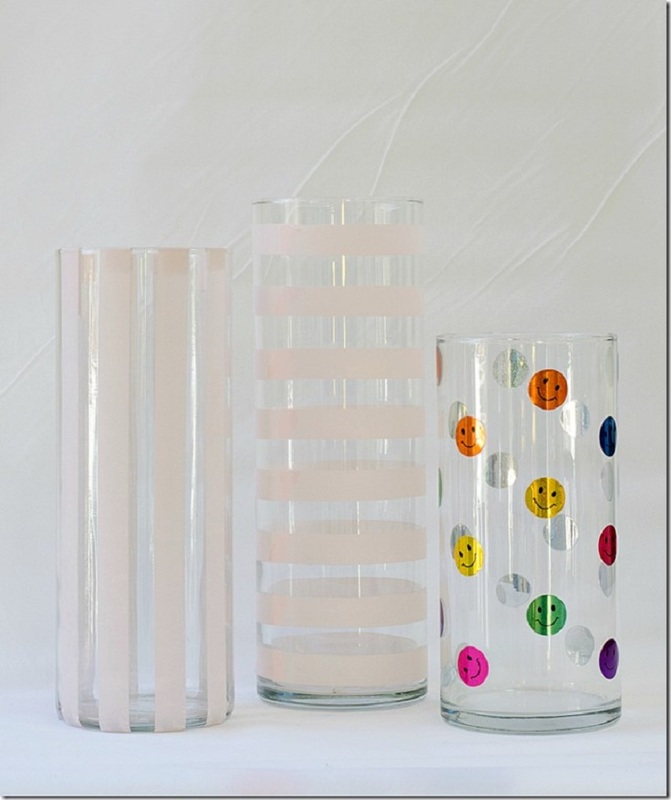 Are you bored with your old and simple glass vase, or you are just looking for a new fun DIY idea to make your table more fun-looking and fill the home with fresh flowers, but you are missing vases? No need to buy new ones, because with this amazingly simple and great ideas now you can make them by yourself and totally affordable. Save money, fulfill your place with creativity and give yourself a new task. 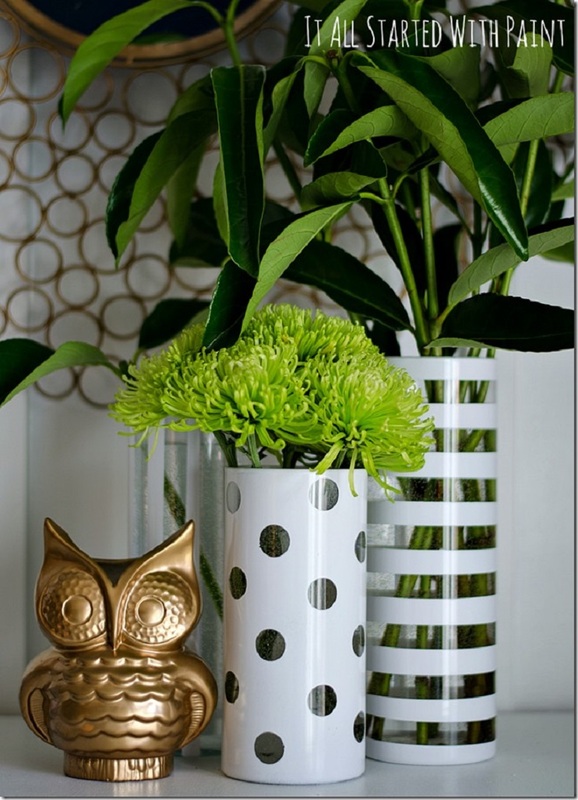 You, your flowers, and everybody else will love the new vases! 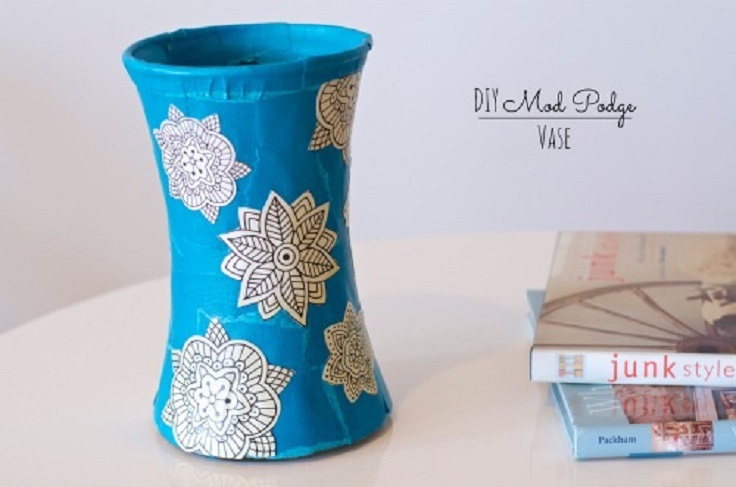 Look the pictures bellow and get inspired by our top 10 ideas for DIY and Recycling Old Vase Projects. Good luck! Wonderful idea, use little pennies to make this beautiful vase, paint your old vase, wait for it to dry and then glue the pennies. They give the vase this amazing finish, and brights up the whole room. 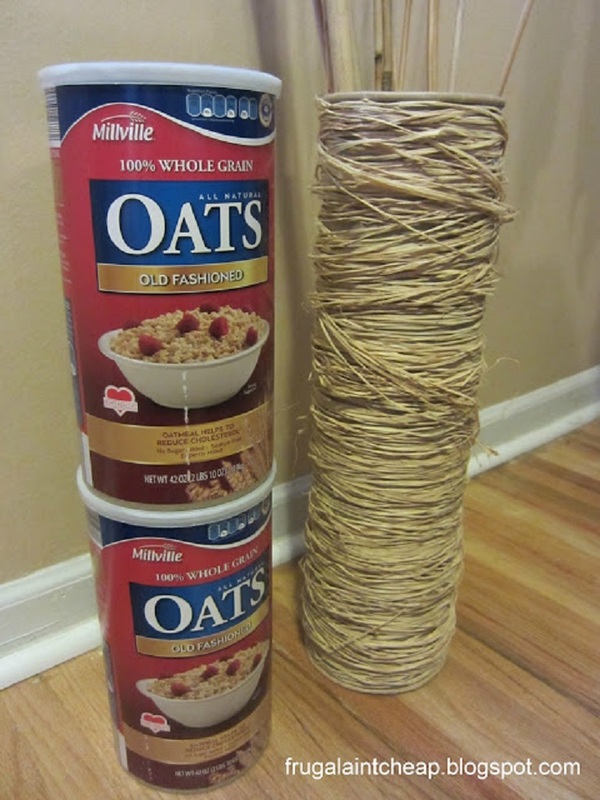 Don’t trow away your empty oatmeal canisters, because you can transform them into beautiful tall vase, with the help of raffia ribbon and glue. Click the link bellow the picture and follow the tutorial. The sweaters that you don’t use anymore will be from big help here! Did you ever imagined that you can make a vase from them? Well, we are surprised too, but this idea is amazing! 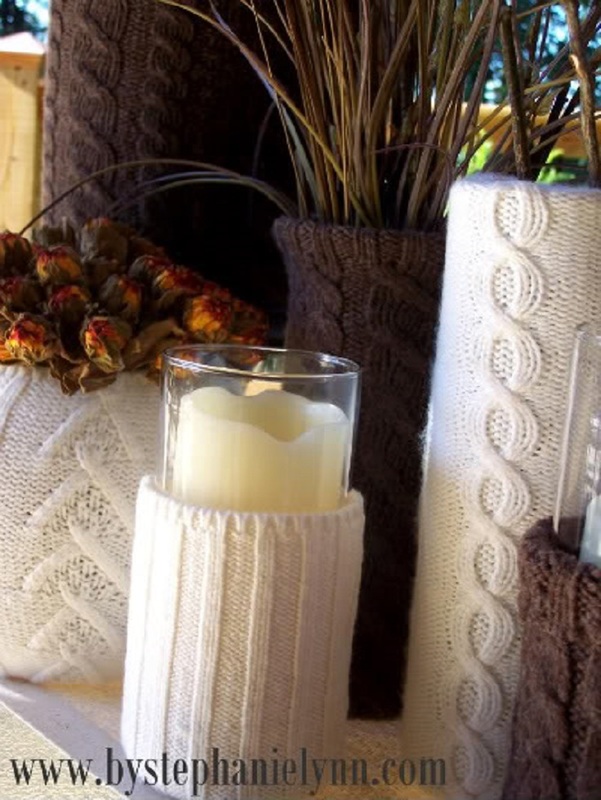 Follow the tutorial, cut your sweater, glue it around the glass vase and voila! If you want to bring a little color in your home, and your simple vase is not doing it’s task, then it is time to use some paint! It is very simple, color the vase from the inside, let it dry, and there you have your new colored vase. 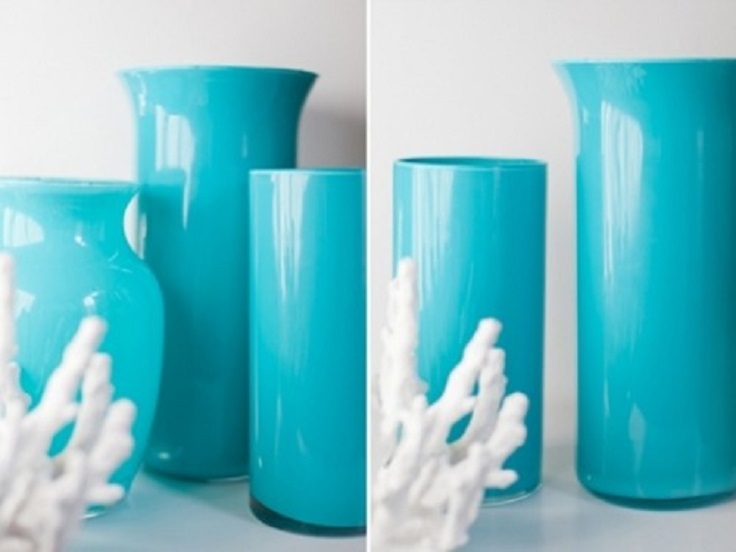 This idea is very simple, yet you don’t have to make your vase the same as the one above. It can use to you only as a inspiration, find the paper pieces that you like the most, the color that you like, and get to work! If you was about to throw away the belts that are hanging in your closet for years, we might change your mind! 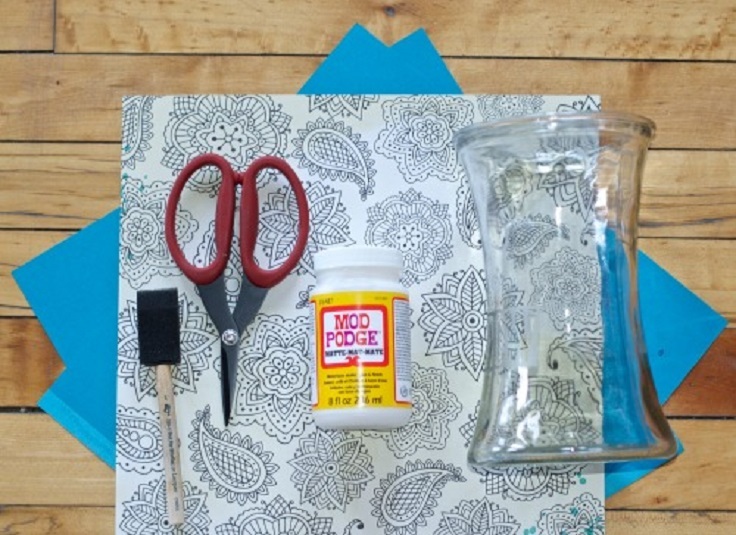 Wrap them around your vase and make this beautiful vintage-looking vase. 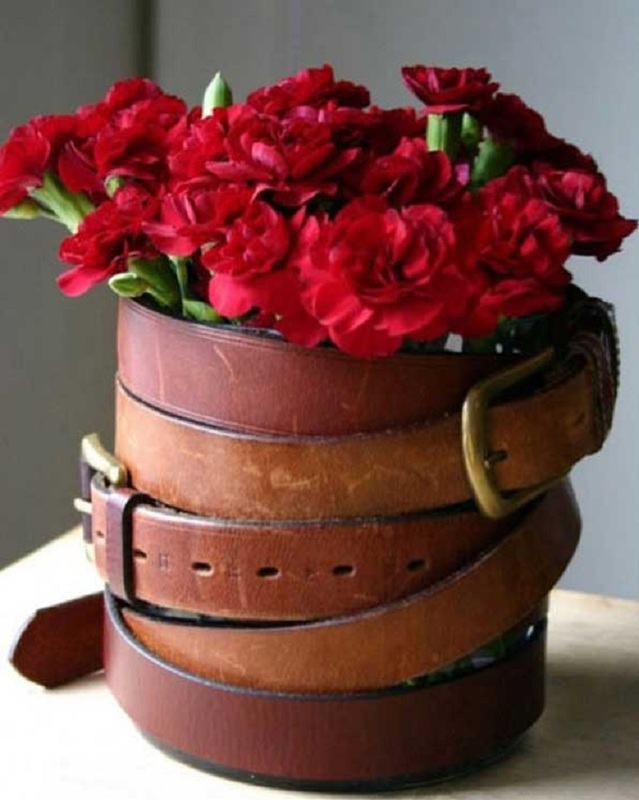 The conserves that you usually trow away, can be very handy with this tutorial, get the one that you think will look the best as a vase, wrap it around with rope and glue them together, then put a mason jar inside, fill it with water and flowers, and there you have a beautiful centerpiece. 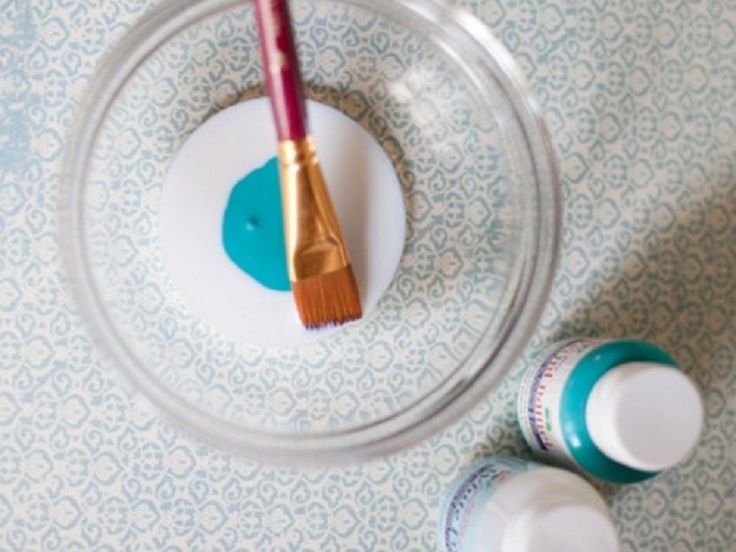 If you want to go a level up with your creativity, we suggest stickers and washi tape. Put them in the formation that you want them to be, then paint the vase from the outside with the color you want, let it dry and then unstuck the stickers. 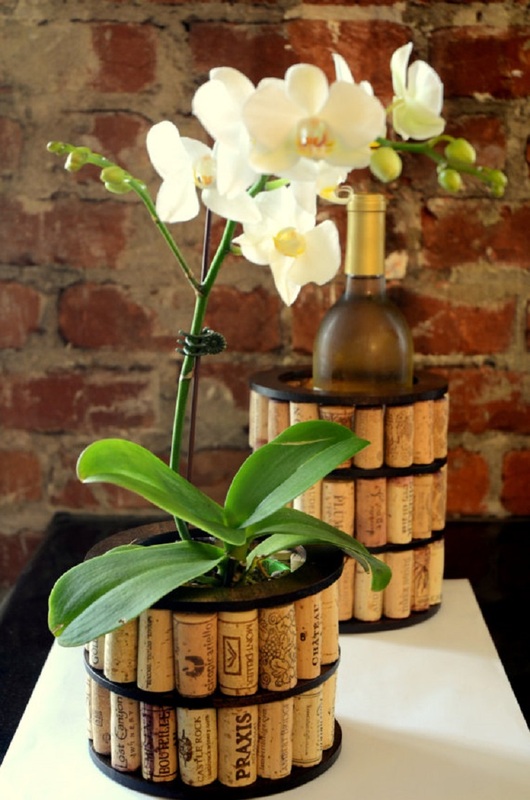 After drinking your favorite vine, you should consider saving the crocks, because with them you can make this amazing and simple vase, all you need is a glue, of course – crocks and three round wood peaces with a hole in the middle. 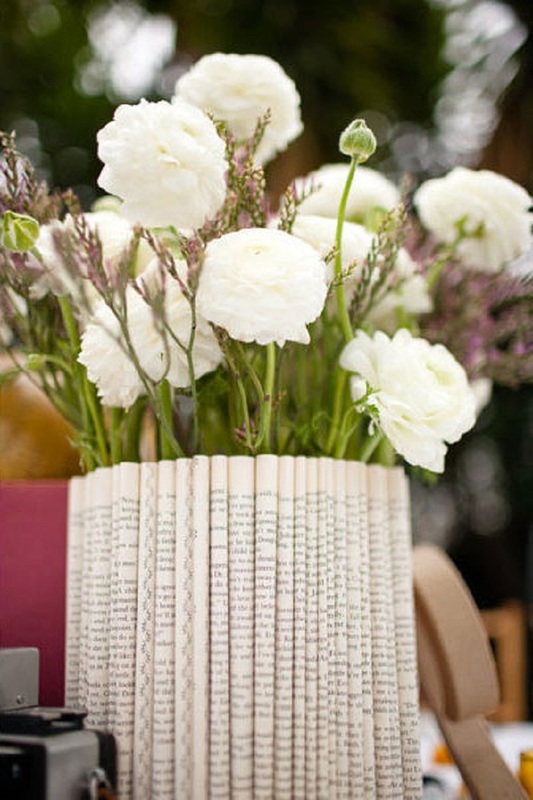 If you have in your house some old newspapers this is a great way to reuse them. Around your old vase glue wrapped newspaper sheets. The amount and the form depends only from your taste.